Caryn Mirriam-Goldberg > Coaching > Finish Your Book! 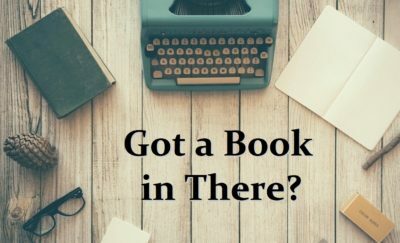 Have a book in the books that needs some love? Caryn offers a coaching package to help you finish or finesse your book of poetry, fiction, memoir, or non-fiction. Caryn has decades of experience in both guiding people toward their best books and writing (and having published) her own in many genres. How It works: Caryn will dive into your manuscript and provide you with ample, supportive, and useful guidance, next steps, and considerations. She'll also meet with you at the start and the end of this process to listen deeply to what's guiding you and the book, and give you tools and strategies to finish the book. An initial meeting to discuss what help you're looking for, how the book came to you, your journey writing the book, what doubts or blocks stand between the manuscript as it is and a published book, and anything else Caryn should know -- 30 minute session (in person or by video or phone conference). A close reading of 10-15 pages of your manuscript including margin notes and specific comments on revision ideas, questions, and possibilities. A glance-read-romp through the rest of your manuscript to get a sense of how it works as a whole. An individualized, detailed and extensive letter to you (8-15 single-spaced pages,) offering global (the book overall) and local (specific parts of the book) comments on what works well and what needs work. 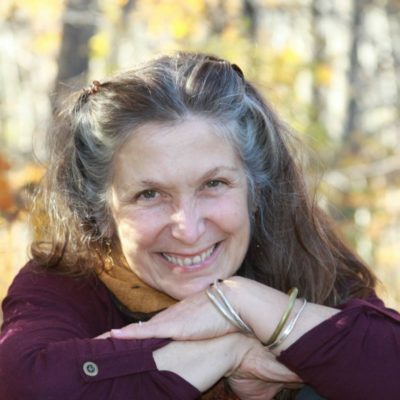 For poetry, Caryn will look closely at development of specific images, compelling rhythms, line breaks, themes, and tone; for prose, she'll focus on plot, character, setting, themes and tone development. Caryn will also explore the overall architecture of the book, providing you with feedback on the organization of the manuscript, and innovative approaches to strengthening that organization. A meeting at the end of our work to discuss all the feedback, future directions and options, timelines, and resources for next steps -- 30 minute session. Cost: $490 (for books of prose over 300 pages or poetry over 80 pages, additional charge). Contact Caryn for a free 20-minute session to talk over whether this is a good fit for you. Maybe you've been writing down the book path for a while. Is this a good deal for first-time writers? Yes, you get a lot of detailed and specific help for where you and your book may be stuck so that you can finish it up and get it out into the world. What about for people with books out there already? If you need help finishing your book -- whether it's your first or twentieth -- this process can provide you with fresh perspective and very focused next steps to consider and take. Even the most seasoned of us needs a leg up once in a while. Will you also edit my whole book? Nope, but I will give you lots of in-depth feedback, including editing comments, on 10-15 pages of the manuscript. I can also share editing resources. Can you get my book published? As much as I wish I had a pile of agents and publishers to call on your (and my) behalf, I don't, and few writers have many viable contacts in an industry that is changing so rapidly. If you're self-publishing, I can recommend some website that provide print-on-demand services (just pay for the copies you print as you need them), and I can share some other directions you might pursue. From our first meeting until our final meeting will likely take about a month depending on your schedule and mine. What kinds of books can you help me finish? I have a background in poetry, fiction (literary fiction mostly), memoir and related non-fiction, and I have books out in all these genres. I don't have a background in -- and would suggest someone else to help you with -- drama, children's books, romance novels, or how-to books (although I have helped people with some self-help essays and books). Can you help me with marketing my book? That I can do -- I have a lot of experience doing marketing at large (even worked in this field for a while), including social media and word-of-mouth marketing, and I can share my expertise to help you develop your own best marketing plan. While marketing help isn't included in this package, if you're interested, we can set up coaching support for marketing your book.